Since the number of tourists visiting Azerbaijan is growing year by year, the country, aiming to never cease to amaze experienced travelers, strives to develop all kinds of tourism and improve the existing base of leisure activities existing here. 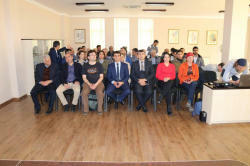 Together with the specialists of the Azerbaijani State Tourism Agency, Czech specialists visited these parks on April 2-7, 2019, where they conducted training for the representatives of the local environmental protection services and marked the trajectory of the future routes for tourists. 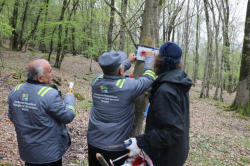 The “Czech system”, which is used in many countries, is planned to be applied in other national parks of the country. Hiking trails determine the consistent movement of tourists through the territory of historical and natural monuments. This will allow creating ecotourism in the country in accordance with modern standards. Azerbaijani Minister of Ecology and Natural Resources Mukhtar Babayev met with Czech ambassador to Azerbaijan Milan Ekert in early 2019 and received the corresponding permission to use the "Czech system" for marking tourist trails in Azerbaijan. Stretching over 322,492 acres, the Shahdag National Park is considered the largest national park in the Caucasus. There, you can find such types of trees as Caucasian oak, chestnut-leaved oak, senna, European wild pear, as well as other rare plants. The park is one of the five most popular tourist destinations in winter among the CIS countries. Located near the border with Russia, the park covers six regions of Azerbaijan, as well as the territory of the Ismayilli and Pirguli natural reserves. Established on the territory of two regions of Azerbaijan- Lankaran and Astara, the Hirkan National Park covers the area of 42,797 hectares, and all of them are occupied by picturesque bright greens of numerous plants. Of the plants spread on the territory of Azerbaijan, 1,900 species grow in the Hirkan forests, including 162 endemic, 95 rare, 38 endangered species. Among them Hirkan boxwood, ironwood, chestnut-leaf oak, fig, pearl Hirkan, Lenkoran albition, Caucasian persimmon and alder are listed in the Red Book. Hiking trails is an important form of ecotourism that give opportunity to the visitors to communicate directly with nature and observe the animal and plant world in natural conditions. This is complemented by visual information on the stands and signposts that are installed on the route, as well as the guide’s story. 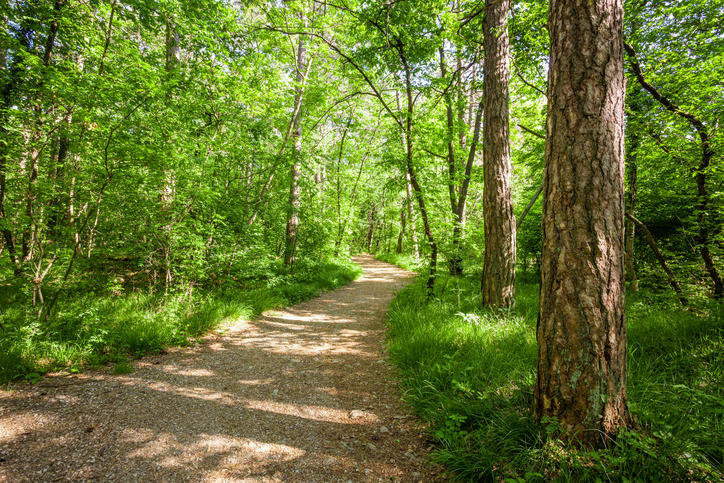 The first hiking trails appeared at the beginning of the last century in the U.S.. Forester Benton McKay proposed to build a walking route in the Appalachian Mountains. By 1922, the 3300 km long ecological trail stretched across the entire Appalachian Range from Maine in the north-west to Georgia in the southeast. Later, long and short hiking trails began to appear in the U.S. national parks. These routes have become a favorite place for recreation and communication with the nature of many Americans and visitors of the country. Currently, hiking trails are widespread in many countries of the world, including such as Canada, France, Great Britain, Germany, Russia, Ukraine, Poland, Sweden, Switzerland, the Czech Republic, Estonia, Kenya, India, Japan and others.